The OWI 25WP-VC 25W Volume Control is an impedance matching (2x, 4x, 8x, 16x) attenuator for OWI speakers. 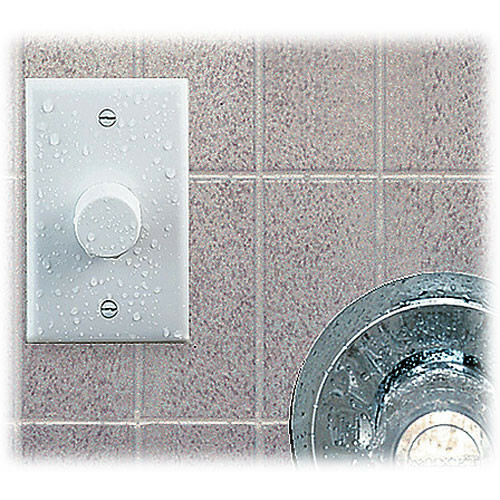 This unit is water resistant for use in bathrooms, including in shower stalls, as well as other wet areas. 12 attenuating steps are featured. Box Dimensions (LxWxH) 4.9 x 4.1 x 2.3"